Graceland, the legendary home of Elvis Presley is many things to many visitors. Some view their trip as a solemn experience, while others are motivated by amusement or curiosity. Whatever your reason for coming here, no one can deny that a stopover is a uniquely American experience that attracts people from around the world. Here are some strategies for a value-packed Graceland tour. The peak time for visitors is the annual Elvis Week in early- to mid-August. 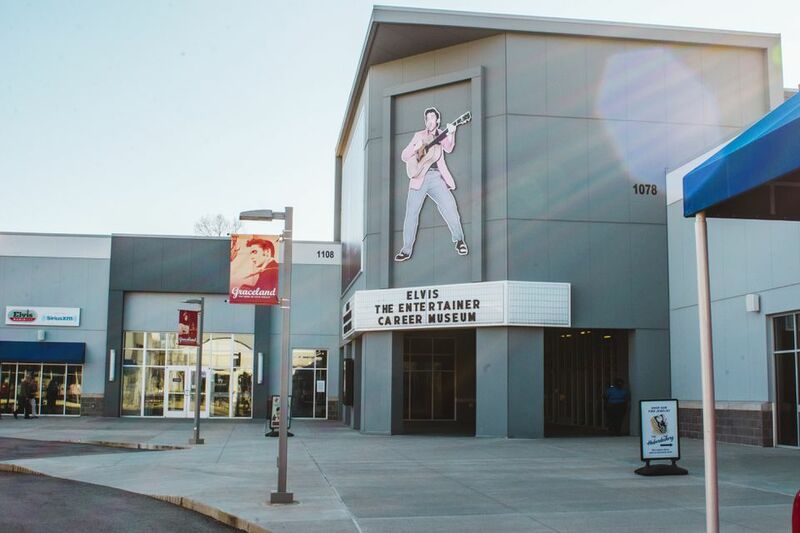 During this time, there are scores of special events such as concerts, movie screenings and an Elvis Expo (off property in downtown Memphis) of memorabilia. Reservations during this time are highly recommended, as individual events sell out months in advance. If you're interested in less stress and more value, go on a weekday and avoid times when school is not in session. The two busiest times are the aforementioned August "Elvis Week" and Jan. 8, which was Elvis' birthday. Basic admission to the mansion for adults is around $40 per person. However, you may add self-guided tours of Elvis's two custom airplanes, automobile museum, jumpsuits exhibit, and Private Presley exhibit. For those who want even more, a $75 ticket adds front-of-the-line admission privileges and looks at areas that are off-limits to everyone else, including a restored dressing room and a barn behind Graceland where Elvis liked to unwind. Children and students receive discounts on all but the VIP ticket; children under 6 do not pay admission. There are a few tricks you can use to save a penny at Graceland. First off, make sure to order your tickets in advance. Although there's a small fee, online orders could save you long waits in line. Pick up tickets at will-call. Big Elvis fans will come here just for Graceland, but for most people, it is a half-day adventure at best. So look at some of the other attractions in the area and make your trip to the city memorable. One good stop is to Sun Records, where Elvis cut his first demo record. According to legend, they asked Elvis which artist he sounded like, and he answered: "I don't sound like nobody." Soon enough, they discovered a new sound that swept the nation at this unassuming Sun studio at 706 Union Avenue. Admission is $12 for adults, and free for ages 5-11. As you search for flights and Memphis hotel rooms, consider Graceland's location. It is only four miles from Memphis International Airport (MEM), and some people use layovers to make a mansion visit. Cab fare from the airport averages about $15 each way. Hotels in the area around Graceland tend to be run-down or expensive. But the proximity to I-55 means you can reach a bargain room in another part of the city fairly quickly (unless it's rush hour). Some chain offerings are good values in the Bartlett area and just across the state line in Mississippi. Although it's close to the airport, don't try to see it on a layover. Traffic can be intense and lines at Graceland are long at many times of the day. Security lines at MEM are not usually lengthy but can become busy when travelers on business or holiday trips show up at the airport. The mansion and the visitor pavilion/parking complex sit on opposite sides of Elvis Presley Blvd. Transportation across the street to the grounds and a headset enabling a self-guided tour of the property are included in the admission fee. The additional options available with the higher priced tickets are on the pavilion-side of the boulevard: the jumpsuit, automobile, and airplane exhibits. You will be reminded at every turn that security cameras are watching you and that indoor flash photography is prohibited. The second floor of the mansion is off-limits. These rooms were Elvis' private quarters. This is not the most elegant mansion you will ever see, nor is it the largest. In fact, you'll be struck by the relative simplicity of Elvis' life, given his status as a world celebrity. Parts of it are tacky (check out the "Jungle Room," a place furnished with outlandish carpeting, furniture, and kitsch) but some are touching as well: the simple swing set he set up for his daughter Lisa Marie in the backyard is one example. Everything here was left largely the way it looked at the time of Elvis' death in 1977. Hours of operation vary by season, with longer hours during the summer months. Note that the mansion itself is closed on Tuesdays from December-March, but other attractions are open at that time. If driving to Graceland, take I-55 to exit 5-B (some mistake this as the number 58). By the way, it's possible to rent sections of the facility for private parties. Some people even get married here! Memphis is known for more than Graceland. Be sure your itinerary allows time for some other worthwhile visits. Highly recommended: the National Civil Rights Museum, on the site of the former Lorraine Motel. This is where Dr. Martin Luther King, Jr. was assassinated in 1968. The exhibits here are poignant and extremely well-designed. It's especially important for young people to see and understand the stories presented here. A lesser-known but fascinating attraction is a five-block-long scale model of the lower Mississippi River on display at Mud Island River Park, which can be reached by tram from the riverfront. The deep detail shows every turn in the river from Cairo, Ill. to New Orleans. Anyone with a love of travel or geography will enjoy this attraction. In downtown Memphis, you find Beale Street, which bills itself as the "home of blues and the birthplace of rock n' roll." There are more than two dozen places to enjoy Memphis barbecue or live music.